It is thought that the creation and consumption of wine dates back to 6100 BC in Armenia. Tales of wine's glories soon spread to the far corners of the globe and with time, divulging in wine evolved from a delicacy - for special events and wealthy aristocrats - to a household staple for us mere mortals. Similarly, the plethora of unquestioned truths concerning how wine should be enjoyed and its effects on those who dare to indulge in it are similarly ancient, and still plague the experience for contemporary wine-drinkers. These common misconceptions unfortunately alienate people from exploring their wine palate, and accordingly how they enjoy the entity. So it is time that these (top 5) myths were debunked. #1 Opening the wine bottle lets it breathe. This myth actually holds some truth, as the majority of wines do tend to taste better if they have been cracked open an hour or so prior to chugging. But why is this? It's because of aeration - essentially the larger the wine's surface area, the more it breathes and the better it tastes. But the myth fails to explain that the 'execution' of how one opens a wine bottle is what allows aeration, or 'breathing.' Simply tugging out the cork (or twisting off the screw-cap) and leaving the bottle to placate its impending doom (consumption) won't do you any good; it's pointless because the amount of air in contact with said wine is insignificant. Instead, the wine must be poured into a larger vessel to expose more surface area. However don't feel compelled to empty your syrup into crystal decanters unless your doctor prescribes it … a Rs 20 plastic jug will do just fine. #2 Expensive wines are better wines. Did you know that the actual taste and quality of a particular wine does not dictate its price? 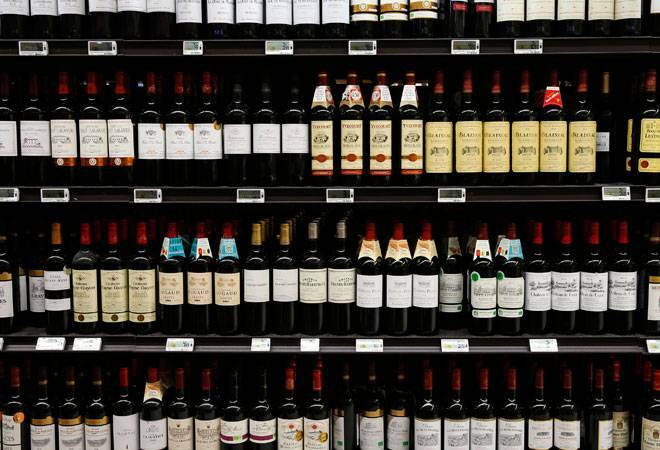 In truth, wine prices are swayed by factors such as image, location and celebrity endorsements, which can elevate prices without impacting quality. Presentation is usually the influencer. So don't be fooled into splashing out diamonds for a bottle of vino, especially when you don't even know what it tastes like. Trying samples and paying attention to recommendations are key to economically enjoying wine without burning a hole in your pocket. Just bear in mind that if you would never judge a book by its cover, then you should never judge a wine by its label. #3 Red wine should be served at room temperature. This idea surfaced in the late 19th century, when Victorian houses maintained a cool temperature, thus avoiding the sickly, heavy taste that a warm red can leave on the tongue. Alas, the melting of the polar ice caps and the circulation of wine out of Europe mean that 'room temperature' is no longer a standard measure, and its numeric value differs according to region. So, instead, we should go by the rule that urges that no red should be served over 20 degrees Celsius - 14 to 18 degrees is the recommended margin - that is, unless you've thrown it in a cauldron with some fruit and spices, and are hoping to serve your mulled creation at your annual Christmas party. #4 Age worthy wines must always be sealed with a cork. Wrong again. In reality, screw-capped wines have been proven to age just as well as wines finished with a cork. Wine-makers claim that the screw-cap method actually promotes quality control, thus you will never have to worry about cork-decomposition spoiling a bottle of wine, which is a problem that has been known to damage a perfectly good bouquet. #5 Wine does not travel. I've heard countless tales of people who have splashed out their cash, in order to accumulate crates of the exquisite rosÃ© that they sipped on a sun lounger, whilst being fanned by palm leaves in the tropics … but when they arrive home, they complain that the wine tastes spoilt and must have rotted during their return. What a waste, they say, and it really is! The myth would be more accurate if it were altered to say "your taste buds do not travel". The truth is that context is everything when it comes to your senses; mood and environment massively manipulate the taste exuded from a bottle of wine. So my advice to you is this: drink up whilst on holiday, and leave the remaining bottles for the next lucky travellers. These are of course just a few myths from the bundle. So, I would advise that whether you are being poured a glass of wine by a friend, or are wine-browsing in your local supermarket, always bear in mind that with wine, the one-size-fits-all ideology does not always work; this is because wine is incredibly versatile. Therefore, be experimental, be mindful of your own preferences and let your palate take you on an extraordinary taste journey. This will allow you to experience the abundant splendours that wine has to offer.